If you’ve ever looked in the mirror and wished your smile could be transformed, the East Adelaide Dental Studio team in Glenside can help. 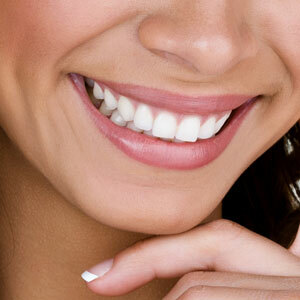 We offer a wide range of cosmetic dentistry services including teeth whitening and veneers. One of the most-requested cosmetic procedures, teeth whitening allows you to get a brighter, more brilliant look in a short amount of time. Though there are several over-the-counter options, our offering produces superior results with less sensitivity, all done in a quick time frame. We can also evaluate your oral health to ensure that you’re a proper candidate for teeth whitening and make our best recommendations on how you can proceed. Please note that teeth whitening will not affect restorations such as implants, crowns or bridges. Both take-home and in-chair whitening options are available at East Adelaide Dental Studio. Take-home Whitening: If you’d like to whiten your teeth at home, we can see you for a consultation and give you a custom-made kit on the day. These solutions contain fluoride that will remineralise tooth surface, protecting it against sensitivity. It’s safe, convenient and has a neutral pH and high viscosity, protecting gums and teeth throughout treatment.At your consultation, we’ll create your custom trays from moulds, then give you these and the gel that’s placed in them. You can achieve the level of whitening you want in as little as 15 minutes or wear the trays overnight. In-office Whitening: This unique formula involves the immediate release of active whitening ingredients, initiating your whitening process at once while you rest in a dental chair and watch a television mounted on the ceiling. In a single visit, the peroxide ions will go to work, triggering whitening without the use of a UV light. A neutral pH protects gum and teeth health. These thin, custom-fabricated shells seamlessly cover teeth that have been chipped, are misaligned, gapped, discoloured or have an array of other problems that we can effectively address. This cosmetic correction is strong, stain-resistant, natural-looking and can last for many years with proper maintenance. The procedure usually requires two appointments — the first, to evaluate your suitability and gather all necessary information, and the second, to bond your veneers securely into place. We believe in offering high-quality dental care that’s accessible to all. Health funds are accepted at our practice and processed immediately on-site with HICAPS. Additionally, if you’d like to arrange a payment plan, we’d be happy to talk you through your options. Call or email our team today to learn more! We’re conveniently located just minutes from the CBD and have plenty of free parking available.